There’s a lot riding on this particular entry of the DC Expanded Universe of movies. For starters the DCEU hasn’t really set the world alight with its entries since its debut from 2013’s polarizing Man of Steel, to 2016’s train wreck Batman v Superman: Dawn of Justice and the somewhat detestable Suicide Squad that squandered its potential (I initially enjoyed it on first viewing then repeated viewings changed my opinion) and they need the movie of today’s discussion to get them back on track. This movie also has the added pressure of making a statement to the executives of Hollywood and the entertainment industry that there is room for female superheroes to have her own feature film and make a massive crater in the market despite the failures of past attempts (Barb Wire, Elektra and Cat Woman I’m looking at you). Choosing Gal Gadot as Diana Princess of the Amazon, even though it initially raised eyebrows due to her ‘physique’ and lack of acting credits at that point proved to be one of the brighter lights in the aforementioned Batman v Superman. What many may not recognise is that the former Israeli soldier turned Model and actress depiction of Princess Diana aka Wonder Woman, a founding members of the Justice League and one of the corner stones of DC’s continued success was the first to make it to cinema screens. Now DC have the opportunity to break even more barriers as they have gifted Wonder Woman with her first solo movie a whole year before their competitors Marvel Studios put out their first female led Superhero films in the guise of 2018’s Ant-Man & the Wasp and 2019’s Captain Marvel. Diana is the Princess of the Amazons. Wonder Woman goes back in time before the events of Man of Steel and Batman v Superman to tell the origin story of Diana (Gal Gadot), a young princess and the daughter of Queen Hippolyta (Connie Nielsen), a powerful warrior who leads the Amazon, a tribe of Women that reside in the hidden island of Themyscira. Diana spends her days on the island learning how to be a warrior under the tough tutelage of her aunty, General Antiope (Robin Wright). Her life changes when a pilot named Steve Trevor (Chris Pine) crash lands in the water just beyond Themyscira’s shores. Diana rescues Steve and informs the Amazons of the Great War (WWI) that has taken countless lives across Europe. Believing that Ares, the God of War a sworn enemy of the Amazons is behind this tragedy Diana’s believes its her duty to save man kind from Ares wrath and sets out with Steve to help the war effort. Along the way she becomes a fish-out of water and gets acclimatised to the world through the help of Steve’s secretary Etta Candy (Lucy Davis) and their ally Sir Patrick Morgan (David Thewlis). 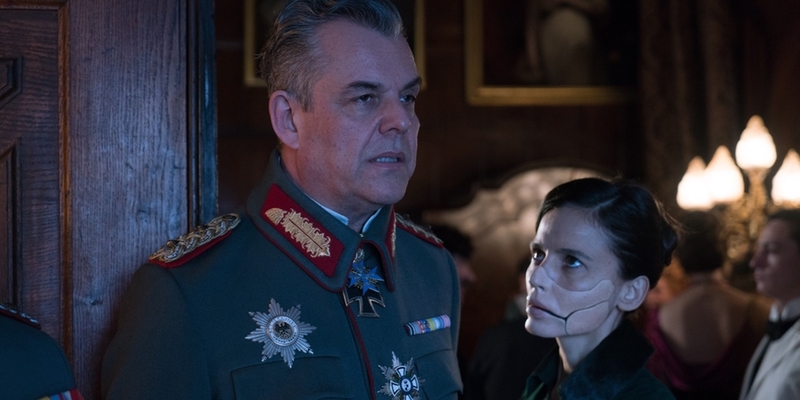 Diana and Steve also set out to find General Erich Ludendorff (Danny Huston) and his scientist Doctor Maru (Elena Anaya) who she believes to be under Ares control – after assembling a small team consisting of Sameer (Saïd Taghmaoui), Charlie (Ewen Bremner), and Chief (Eugene Brave Rock). 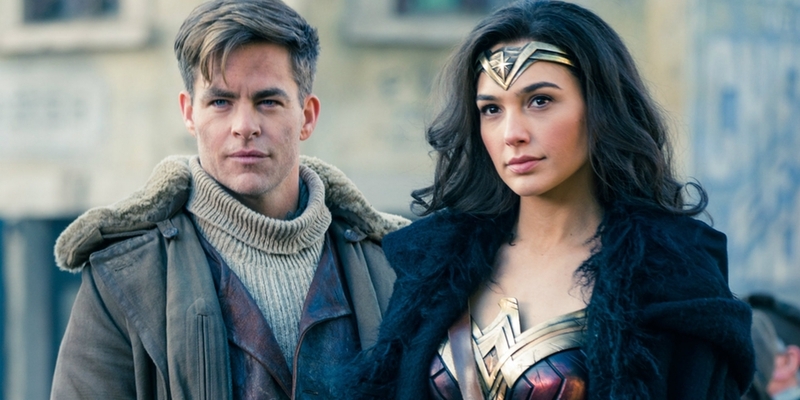 Steve Trevor ( Chris Pine) battles alongside Wonder Woman. Patty Jenkins whose credits include the Academy Award winning Monster takes the helm as director and is tasked with the goal of making Wonder Woman a film that has the potential to set a new precedent , get the DC expanded universe back on track and most importantly a thoroughly entertaining film from start to finish. One of the major’s strengths of the film is how self contained it is compared to the other DCEU films who at times thought it was more important to distract the audience with references to past and upcoming events and not the story that was at hand. 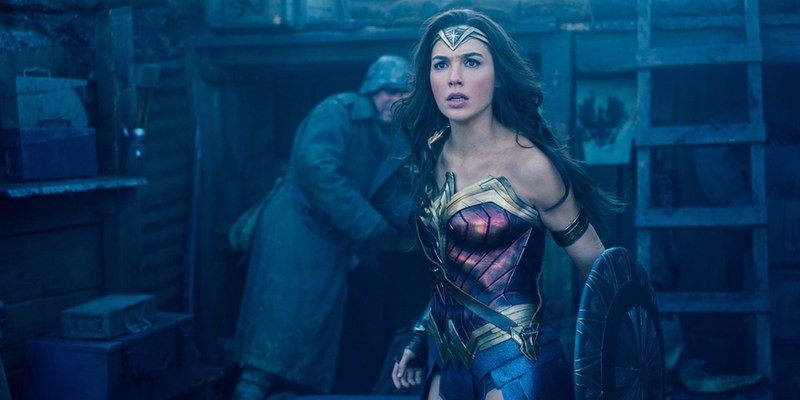 Chronologically speaking Wonder Woman takes place long before the events of the DCEU and this gifts Patty Jenkins and screenwriter Allan Heinberg a great opportunity to explore the evolution of Diana without too many shackles placed on her by the larger universe, an issue that plagued Batman V Superman and Suicide Squad. However the movie still does enough to make sure it doesn’t feel out of place in terms of continuity with the films that preceded it. 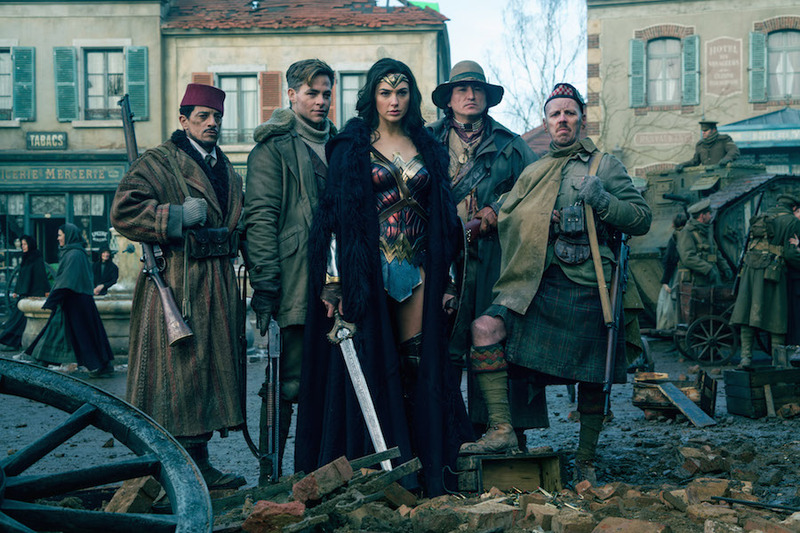 This added advantage allows Wonder Woman to put the audience in unique settings like her birthplace Themyscira or an early 20th Century London and Europe that was hit by World War I. These locales also provide the film with the great opportunity to explore its titular character in a world that is not aware of meta-humans like Zack Snyder’s Man of Steel was able to do with Superman. The WWI setting packs the film with action set pieces, since the level of carnage had drastically increased as a result of the advancement of weapon technology combined with traditional military tactics. With that in mind, the movie manages to elevate itself from a standard movie depiction of ‘typical’ war action sequences, thanks to Wonder Woman’s Amazonian fighting style that is completely different to a soldier who regularly relies on his guns more than anything else. Diana enters the battlefield with her sword, shield and Lasso of truth and this creates some truly awesome action scenes as the stark contrast in fighting styles make the action sequences unique whilst putting a huge spotlight on Diana’s skill in battle which completely empowers her. Though the movie focuses on the character building its action set pieces are that are cool and varied. From the opening battle between the Amazons and German soldiers to the street brawl to the battle in the trenches this movie has some awesome action sequences that are probably the best fights we have seen in the DCEU so far. I had doubts about whether Gal Gadot could hold an entire movie on her own as she was usually relegated to supporting character status, but she does a sterling job here. On top of adding physicality and beauty to the role, Gal manages to bring many facets of Diana’s personality to the screen with great results thanks to Jenkins direction. 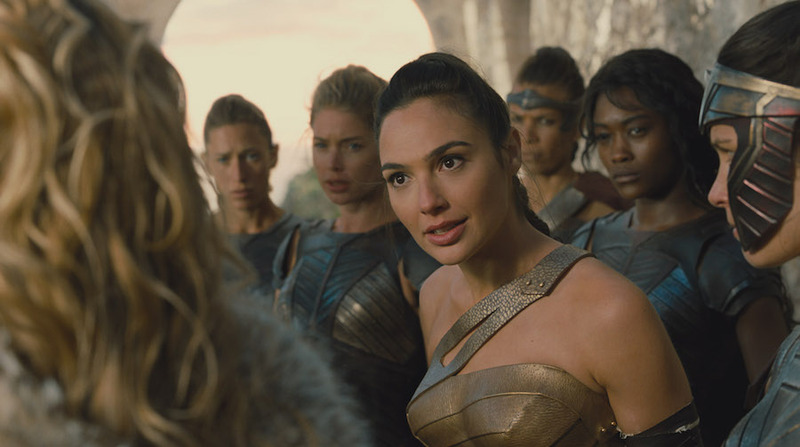 Due to the fact that Diana was raised in Themyscira without actually without going outside to see the world this allows Gadot to play the fish-out-of-water which in turn gives her character a certain degree of innocence and curiosity. The movie could have easily used it as a cheap crutch to get a few laughs at her expense, but is positively used to give the film brief moments of levity whilst shining the light on certain aspects of humanity that are rarely examined from an outsiders perspective which encourages the audience to laugh at themselves through Diana. Chris Pine puts in a solid performance as Steve Trevor the charming and sultry smooth pilot who fills Diana in on the customs of mankind as he tries to answer many of her questions and curiosities. He also has a fish-out-of-water experience in the first act, which provides moments of levity as he becomes an effective avatar for the audience to further understand the lore of the Amazons. Unlike many female romantic interests in male-led action films, Steve is able to stand out as he has his own journey of discovery over the course of the film in which Diana proves to be a helping hand. On top of being a romantic interest that is believable, the character is a very important cog to Diana’s growth from a Woman who holds humanity on a pedestal to one who can see their flaws and strength. We also have an entertaining bunch of supporting actors who help Diana and Steve on their journey and add an element of fun to the proceedings. From the Lucy Davis’s turn as Etta Candy, Steve’s comical but extremely loyal secretary to Trevor’s band of rogues that includes secret agent Sameer, Charlie a Sharpshooter with alcohol addiction and PTSD to the Chief an opportunist who trades on both sides of the war are all extremely likeable characters who add levity to the quiet moments and excitement to the action scenes despite their lackluster development. Wonder Woman and Steve Trevor band with Sameer (Saïd Taghmaoui) Chief (Eugene Brave Rock) and Charlie (Ewen Bremner). Though the movie does a lot of good things with its protagonist and supporting cast, the villains of the piece really bring the movie down. This is a problem that has been plaguing a lot of super hero origin stories as they focus on the main character and Wonder Woman is another unfortunate victim to this gripe. Eric Ludendorff and Dr. Maru’s motivations are not exactly clear and he becomes a bland and ultimately forgettable characters. The major villain, Ares who is Wonder Woman’s end goal also has that problem but is even more underdeveloped than the aforementioned baddies and is ultimately relegated to a character that has to explain his intention through hammy dialogue. Despite this, Ares still manages to be the perfect foil to Diana in terms of viewpoint towards humanity and the character even though he is not fully realized character his role in the story helps Diana grow into a fully-realized hero. The first two acts of the film are paced extremely well but the third act meanders. While there are some hard hitting moments within this act it is surrounded by a bloated CGI fuelled climax, which is surprisingly distracting from the rest of the film and doesn’t quite stack up to the earlier action set pieces. Wonder Woman could have called it a day with a character that is just a badass and the driving force for its insane action sequences but the movie is so much more. It’s a movie with a cohesive and gripping tale that gives the first lady of comics a live-action popcorn flick worthy of her legacy. Patty Jenkins direction and great performances from Gal Gadot, Chris Pine and the supporting cast not only makes this film the best entry in the DCEU but it stands above everyone else as the best female- led superhero film and one of the best superhero films to date.